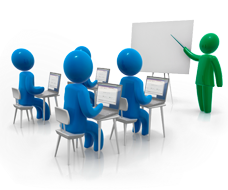 P2G tecch is offering customized training services and vendor independent trainings and Vendor interoperable training thus giving ease to the organizations to choose from depending on their organizational requirement. Core technical team of P2G tecch is experienced and has exposure to multi vendor environment thus can provide the best guidance and service. We offer the customized courses from basic level to advanced networking that is required by ISPs, Large Enterprises, Small organizations and Public sector companies, in the following areas.